Oops Page Not Found, 404 Error, The page you are looking for is unavailable, the requested URL was not found on this server – When browsing the web you might see such similar messages in websites. What will you do when you see an 404 error page in a website? Most likely you hit the back button or by rarely you will step ahead to the websites homepage. This is the same case for you when visitors land on non-existing URLs in your Blogger blog. Here we will see how to redirect 404 error pages to home page in Blogger. Before getting in to this topic we will see what 404 error pages are, how they occur and how to deal with those pages. 404 error pages – what is it, why do they occur? Your Blogger blog returns a 404 response code when the actual URL does not exist. That means the server could not find the requested URL (broken links or dead links). Learn more about HTTP status codes. 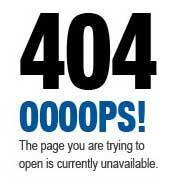 404 error pages is an issue found on all websites and occur commonly due to such instances. In your webmaster tools account there is a section called crawls. In there you can find all your 404 error pages. Once those URLs has been fetched by crawlers and but now they couldn’t find what they are looking for. The reason is that you might have changed you blog post URL or deleted your blog post. How to deal all those 404 error URLs in webmaster tools? You can fix all those error URLs by redirecting them permanently to existing pages (301 permanent redirection). By using Blogger custom redirects you can redirect 404 error URLs to existing pages. The error URLs that you see in your webmaster account are discovered by Google bots. Anyhow 404 error pages still show up in your blog. That maybe because you linked to one of your blog post with misspelled URL or someone might linked to non-existing URL in your blog. 404 error pages are not bad for SEO and so we suggest you to leave the 404 error pages as it is. The only thing is that it gives a bad user experience and Blogger by default displays a 404 error page with the following message. Sorry. The page you are looking for in this blog does not exist. The default 404 error page /message in Blogger is somewhat not interesting. So you can create your own custom 404 error page or you can redirect 404 error pages to your blog home page. Personally we don’t prefer redirecting 404 pages to home page rather you can customize your 404 page with useful links in it. In Blogger there in an option called “custom page not found” in search preferences. By using HTML you can create your own custom 404 error page and that is a decent way to handle 404 error pages. Oops! 404. This page does not exist (moved or renamed). You can go back to our home page using this link. You can browse our categories to find related articles. Try using our search box to locate the correct page. You can redirect your blog visitors to homepage, but don’t make them go blind. So instead of redirecting them directly to your homepage, you can mention them about the actual issue and automatically redirect within few seconds. From now on visitors who land on your blogs 404 error page will be notified about the 404 error and will be redirected shortly. In the above code where 7000 is the redirection time in milliseconds which you can change it as per your wish. Hope this post helped you on how to redirect 404 error pages to home page in Blogger. Also you learned some possible solutions to handle 404 error pages in Blogger. Please share this post and feel free to leave your comments below. Subscribe to our blog RSS feeds to get more updates.